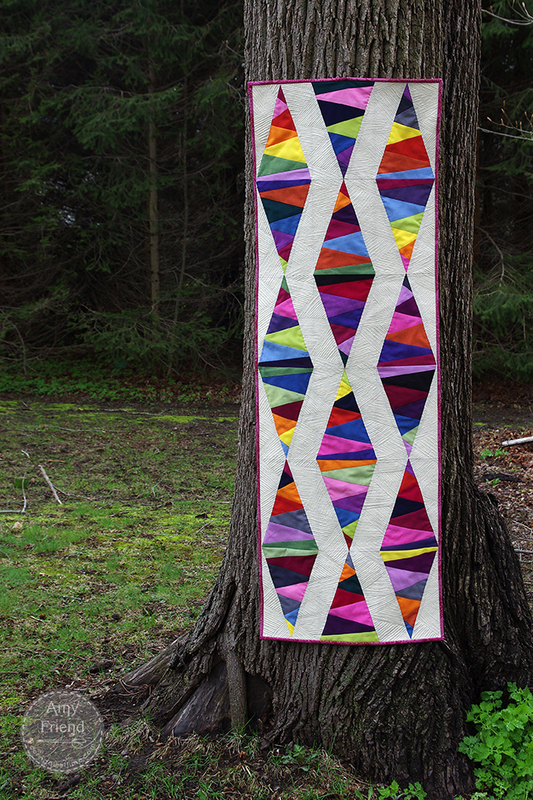 I shared this Oakshott Colourshott runner that I designed and called Diamond Jewels a few months back. I mentioned that a pattern would be coming soon and I am sorry for the delay. The pattern is now available in not only runner size but also in 3 quilt sizes along with a kit containing the Oakshott necessary to sew it. You can read all about it on the Oakshott blog, Shotthrough and buy the kits in their shop here.